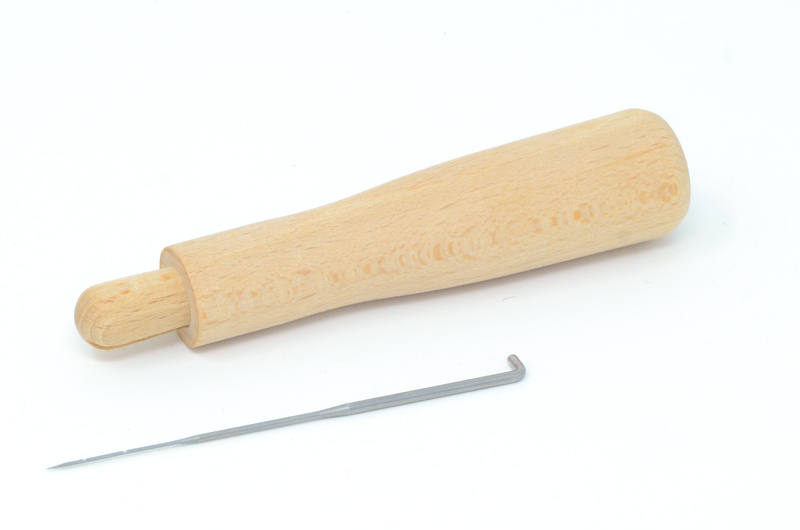 The Wingham Felting Tool is designed to be a "no-frills" introduction to the world of feltmaking, but over the years they have proven to be one of our best sellers for both new and experienced felters. Simple to use as the bent end of the needles are inserted in the holes in the split plug, the two parts are then put together and pushed into the handle. This locks the needles into place. If the needles slide its because they are not positioned in the holes. The whole unit can be locked back in its box. 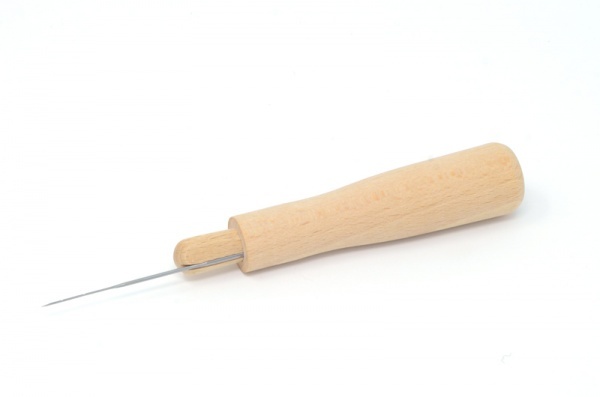 The Single Needle Tool tool is supplied with 1 x 36 gauge needles.